In organisations around the world employees are accidently merging their personal and professional cloud applications with dire results. Some of the issues include the routing of sensitive text messages to family members and the replication of confidential documents onto the servers of competitors. Our personal and work lives are merging. When done well, this can be a huge boost to our productivity and personal satisfaction. The rise of the smart mobile device has been a major part of this merge, driving Chief Information Officers towards various flavours of Bring Your Own Device (BYOD) policies. With the advent of a myriad of cloud services delivered over the internet, our individual cloud architectures are becoming far more complex. The increasing trend to move beyond BYOD to Bring Your Own Application (BYOA) means that the way individuals configure their own personal technology has the potential to directly impact their employer. In this environment, one employee could be swapped out for another easily and all were prepared to conform to a defined way of working. Our offices were perhaps best compared to Henry Ford’s production line of the early twentieth century where productivity required conformity. It’s no wonder that IT has put such a high value on a Standard Operating Environment. However, new styles of working have taken hold (see Your insight might protect your job). Businesses and government are employing more experts on a shared basis. An increasing proportion of the workforce is best described as being made up of “knowledge workers” and a sizeable number of these people are choosing to work in new ways including spreading their week over several organisations. Even fulltime staff find that that their employers have entered into complex joint ventures meaning that the definition of the enterprise is constantly shifting. Personal productivity is complex and highly dependent on the individual. The approach that works for one person is a complete anathema for another. Telling people to work in a standard way is like adding a straightjacket to their productivity. Employees should be allowed to use their favourite tools to schedule their time, author documents, create presentations and take notes. Not only is the workplace is moving away from lowest common denominator software, the increasing integration between mobile, tablet and personal computers means that the boundaries between them are becoming less clear. It all adds up to the end of the Standard Operating Environment. CIOs are right to worry that BYOD and BYOA will result in their data being spread out over an unmanageable number of systems and platforms. It is no longer workable to simply demand that all information be kept in a single source of truth physical database or repository. I’ve previously argued that the foundation of a proper strategy is to separate the information from the business logic or processes that create it (see Your data is in the cloud when…). Some of the simplest approaches that CIOs have taken to manage their BYOD environment have involved virtualisation solutions where a virtual desktop with the Standard Operating Environment is run over a client which is available on many devices. While this is progress, it barely touches the productivity question. While workers can choose the form factor of the device that suits them, they are still being forced into the straightjacket of lowest common denominator business applications. The vendors are going to continue to provide better solutions which put the data in a standard form while allowing access to many (even competing) applications. It’s not about just one copy of the data on a database, but rather allowing controlled replication and digital watermarks that track the movement of this data including loss prevention. For example, organisations constantly struggle with managing their staff master data, but in a world of personal social media employees will effectively identify themselves (see Login with social media). Managing software licenses, even in the most efficient organisation, is still an imperfect science at best with little motivation for users to optimise their portfolio. When employees can bring their own cloud subscriptions to work, with an agreed allowance paid to them, the choices that they make are so much more tailored to their actual needs today rather than what they might need in months or even years to come. Organisations that have grappled with provisioning new PCs are seeing the advantages of the consumer app stores with employees self-administering deployment between devices. Cloud and hardware providers are increasingly recognising the complex nature of families and are enabling security and deployment of content between members. The good news is that even the simplest family structure is more complicated than almost any enterprise organisation chart! We see a hint of bad architecture when staff misconfigure their iPhones and end-up with their (potentially sensitive) text messages being shared with their spouse or wider family or when contractors use their personal cloud drive working across more than one organisation. Even worse is when it goes really wrong and a ransomware breach on a personal computer infects all of these shared resources! 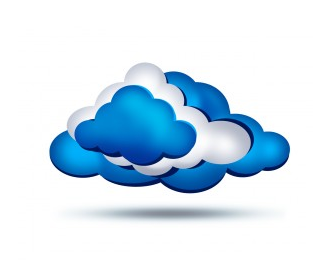 The breadth of services that the personal cloud covers is constantly growing. For many, it already includes their telecommunications, voicemail, data storage, diary, expense management, timesheets, authoring of office documents, messaging (email and texts), professional library, project management, diagram tools and analytics. Architecture is even beginning to matter in social media with the convergence of the tools most of us use (see The future of social networks). Some employers fear the trend of cloud, BYOD and BYOA will lead to the loss of their organisation’s IP. The smart enterprise, however, is realising that well-managed cloud architectures and appropriate taxonomies can help rather than hinder employees to know what’s theirs and what’s yours. In the near future you may even start choosing staff based on the quality of their personal cloud architecture!